Pierre Silber – High Heels and Club Wear. A Favorite Among Crossdressers. Penny Loves Kenny – Fun, Fashionable Footwear for Large and Wide Feet. Alice in Genderland: A Crossdresser Comes of Age – by Richard Novic M.D. Dr. Erica Anderson – Licensed Psychologist Offering Psychotherapy and Counseling to Transgender and Gender Non-Conforming Individuals. Is there a resource you think should be included on this page? Please let me know by sending an email to: info@feminizationsecrets.com. Great advise. Might even get some photos done now my confidence is much better. Your help and advce over the past year has been inspirational. Thank you for all you have done for those of us who desire to be female in our presentation to the world. Thanks so much for all of your advice. I will continue to work on my feminine image. 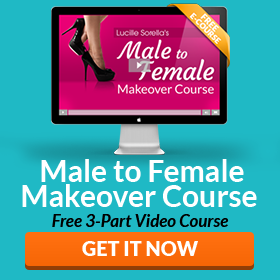 With your help, I know that I can become the confident, beautiful woman that I want to be. Love ur legs love ur nylons or pantyhose lov ur heels.. Thanks so much for your understanding sometimes I feel like a freak of nature and it is nice to know that there is someone out there who knows were I am coming from. Love the tips sent by Email. Always taking them onboard and is helping enormously. Thanxs.